Tips and advice on producing the perfect company film – these blog posts and articles are aimed at clients looking for advice on creating great video content for their business. 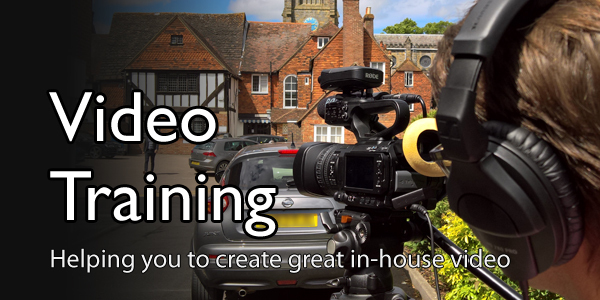 Based in Loughton on the borders of Essex and London, Video Artisan are a specialist company. We provide film production services to businesses and organisations of all sizes. In addition, we provide a complete script-to-screen service for promotional films, training films and corporate video content. 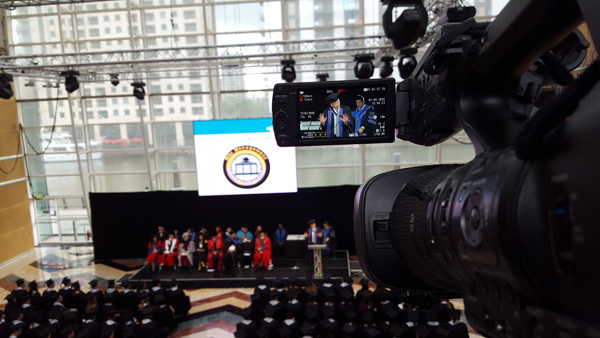 Furthermore, we supply freelance camera, editing and conference coverage services. This collection of articles includes tips on creating better video content for businesses. This enables to enable them to increase sales, inspire their workforce and be more productive. The articles include both technical and creative tips for newbie and seasoned commissioners alike. In particular there’s a special emphasis on video marketing techniques and exploring ways in which a company film can enhance their business and increase profitability. Make no mistake, we create advertising videos. Despite all the clever and creative ways we like to describe what we do, 99% of the time we’re creating advertising videos. They’re videos, and they’re advertising something. Some like to talk up our craft (and there’s nothing wrong in that) and call these “advertising films”. However, in almost every instance the intended outlet for the content we create for our clients is being distributed online. That’s usually through YouTube of other social media platforms – and these are video channels. 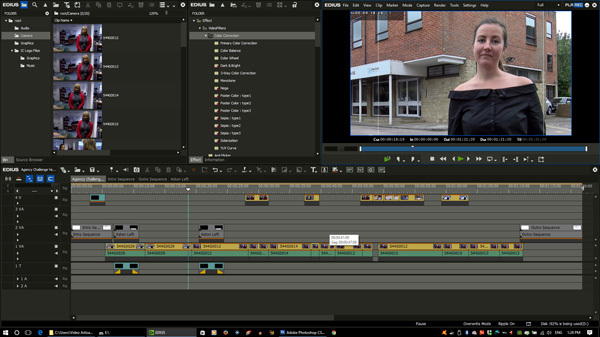 So yes, we create advertising videos! Sometimes, however, we’re doing a whole lot more than that. We’ve created many advertising videos for CAT Publications over the years. 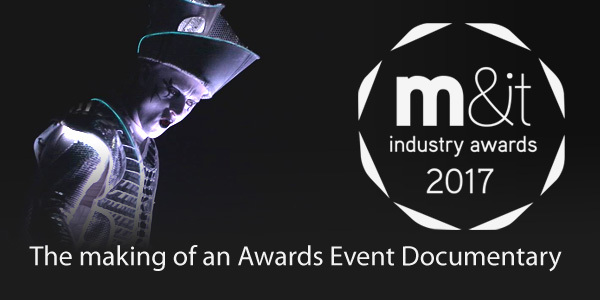 These are mainly in the form of event documentaries covering either their M&IT Awards or their M&IT Agency Challenge events. Whilst these videos are supposed to inform and entertain, their true purpose is to act as advertising videos for future events. In fact, we’ve just completed the 2017 M&IT Agency Challenge video which is already being pumped out to encourage participation at next year’s event. Where this assignment differs from others is that Video Artisan are not just there to make an event documentary. We are very much part of the team building experience and provide delegates with a video challenge of their own. Each team at the M&IT Agency Challenge has to shoot a short film within an hour (edited by us) – the judging of which goes towards points and prizes at a gala dinner. There are of course many forms of advertising videos. Some are just straight promotional films that directly sell the product or service. Others get the advertising message across in the form of educational content – or maybe purely entertainment content. Whichever platform you choose, you should never lose sight of the aim to advertise. Google Dictionary describes this as, “to describe or draw attention to (a product, service, or event) in a public medium in order to promote sales”. This is why we generally describe Video Artisan as a, ‘Promotional video production company’. 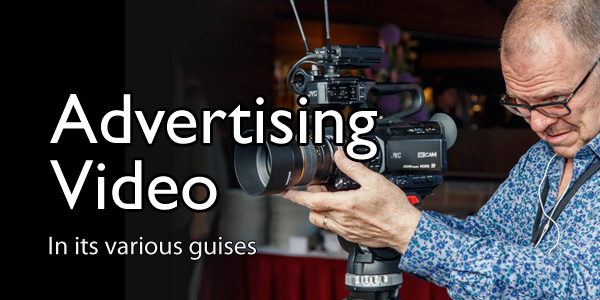 If you’re starting to think about how you can introduce advertising videos into your marketing mix, give us a call. We like to think we can help any organisation to achieve their video goals – regardless of budgets and the complexity of the task. 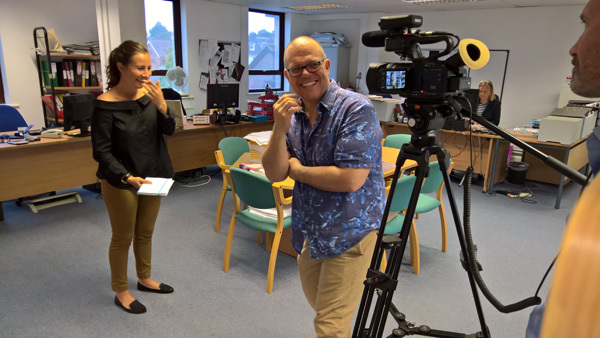 The key to making this successful is to start to talk to your video production company at an early stage so they can advise on the most efficient and cost effective approach. If you’re at that stage now – call Kevin Cook on 020 3602 3356 or email kevin@video-artisan.com. This is the third time we’ve been commissioned to create an awards event documentary for CAT Publications. It was very special this time though as it was their 30th Annual Awards. That’s some achievement. It was also another great reason to create an awards event documentary to remember it by. This is an amazing event, attended by more than 1,300 key people from the top organisations in the meetings and events industry. Its purpose is to celebrate and reward the very best across a wide range of categories. This includes hotels and conference venues, agencies, airlines and banqueting providers. Like all the best awards nights, the winners are not revealed until the awards night itself to an ever-so excited audience. The purpose of this Awards Event Documentary isn’t purely for prosperity though. CAT use these films as a part of their marketing activities for the following year’s event. In fact, the film is one of their most powerful tools in sharing the atmosphere and scale of the event. For anyone who has not attended the awards before, this short awards event documentary will give them a pretty good idea of what to expect. Furthermore, the film plays an important role in attracting entries in future awards. As the only awards scheme in the events industry which is voted on by the end user, they are extremely highly valued. The film therefore had to show the impact that winning an award has on the recipient’s business. Likewise, the film had to impress the value of brand association for future sponsors. The narrative for this awards event documentary was pretty much set in stone. Shooting was therefore straight forward, with three camera crews recording the general atmosphere shots. We also had two fixed cameras covering the main presentations. The main host was TV’s Eamonn Holmes – and along with various guest speakers, provided the main structure to the edit. In addition, winners were pulled backstage after their presentation to be interviewed by another camera team to captures their elation. Whilst this was an extremely quick turn round it also gave us the opportunity to ask them their views on the event in general. Editing the main Awards Event Documentary was made easier by the excellent neon drumming performance by Spark! They were spectacular on the night and provided us with a dramatic up-beat soundtrack to cut to. This is just one event we work on for CAT Publications each year. Other events include their series of masterclasses for the events industry – and also the ever-popular Agency Challenge events at which we provide video team-building challenges for the delegates. There’s another one of these coming up in July. The most recent development on Facebook, ‘Facebook Live’, is opening a whole new world of opportunities for businesses to engage with their followers. If you’ve got no idea what Facebook Live is think of it as a live video broadcast. These videos are posted directly to your Facebook page in real-time (almost) – be that your private page or your business page. Like any other Facebook posting, these can be liked and shared by your page followers – and as the administrator you can add tags and adjust privacies to help you get your broadcast to those you want it seen by. Obviously, your followers aren’t all just sitting on your Facebook page waiting for stuff to be posted – as nice at that would be! To cater for these absentees, once your live event has ended the video is then shown along with your other postings for people to view as and when. Over time your viewing number will rise as more people watch it, like it, comment and share it on their own Facebook wall. Hopefully you can start to see how this kind of marketing tool could benefit your business and help you to generate social media followers. But what kind of things to people want to see? The answer seems to be pretty much anything! The most viewed Facebook Live is currently “Chewbacca Mom”. (CLICK HERE – and try not to laugh) To date, this has had 166 million views since it first appeared as a Facebook Live. At the time of going live it maybe had only one or two (or none more likely) viewers – but the Facebook Live experience is about sharing things as they happen. This is obviously not an example of a business using Facebook Live. But what this example should do for you is to demonstrate the potential of Facebook Live. I’m sure you can also imagine the effect this had on the sales of Chewbacca-type masks! Shrewd businesses are now tapping into this by using Facebook Live to share all kinds of real-time events. The obvious ones are things such as product launches, conferences, exhibition stand tours, product training sessions… or any other event where you would naturally have a live audience. Facebook Live will enable more people to experience these and, more importantly, share their experience with others who might find your content of interest. Whilst spontaneity is at the heart and soul of this technology, pre-publicising your event will enable you to increase real-time viewers who can engage with you at the time of broadcast. You can actively encourage questions from your viewers at the time and gain valuable feedback – as well as spreading the word about your broadcast and generally scattering your brand amongst their friends and followers too. The only real limitation is that your event can’t be more than 4-hrs long as a single stream. In its simplest form, a Facebook Live event can be created using just your mobile phone and the Facebook App. The only other requisite is an uninterrupted and reasonably broad-bandwidth mobile or Wifi connection. If you want to post something to your private page, simply click the Live button and add the event details as requested. Within a few moments your phone will start sharing its pictures and sound to your Facebook wall. (as demonstrated by Chewbacca). It’s a little less obvious on a business page, but still possible. In this instance, go to your business page, click the ‘Post’ button, and then select the ‘Live’ option. The drawbacks of using your phone for a Facebook Live event are mainly down to the limitations your phone’s camera. Whilst the picture quality on most modern phones is perfectly adequate, the sound from the internal microphone is generally poor. This can be easily overcome with the addition of an external microphone. But you’ll still be limited to the basic camera controls offered on your phone. This might be fine for a talking-head type situation, but if your ambitions are greater then you’re going to have to look at more advanced options. As a business you might want to broadcast something a little more akin to a real TV broadcast. This could include nice lighting, proper audio, autocue and possibly multi-camera coverage of your event. This is where you’ll need the services of a company such as Video Artisan. You’ll also need some additional hardware to connect the output from a video camera or mixer and spit this out to Facebook. For a single-camera broadcast our JVC cameras have the ability to send their output to the Internet through a WIFI, 3/4G or LAN dongle. They also enable us to assign the required values that will let Facebook see the camera’s output and broadcast it. These settings are accessed within your Facebook business page. Within ‘Publishing Tools’ you’ll find ‘Video Library’ and the facility to set up a ‘Live’ event. This is where you give Facebook your camera’s location details as well as setting up other parameters to help you reach your audience. Our initial testing here at Video Artisan resulted in this little masterpiece – click here. Another box of tricks is needed for multi-camera events. This mixes the camera feeds and then encodes the signal into something Facebook-friendly. 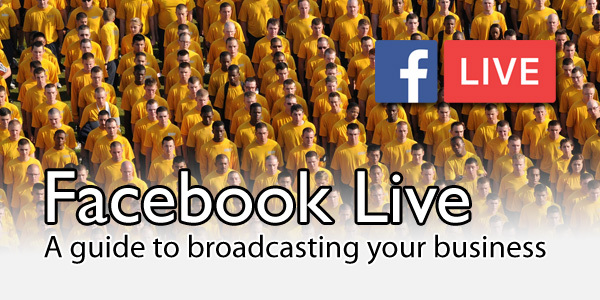 Using this configuration, the only limits to your Facebook Live event are your imagination and your budget! Commissioning a referral marketing film is a no-brainer – period! When looking to buy a new product nothing is more persuasive than a recommendation from a trusted source. 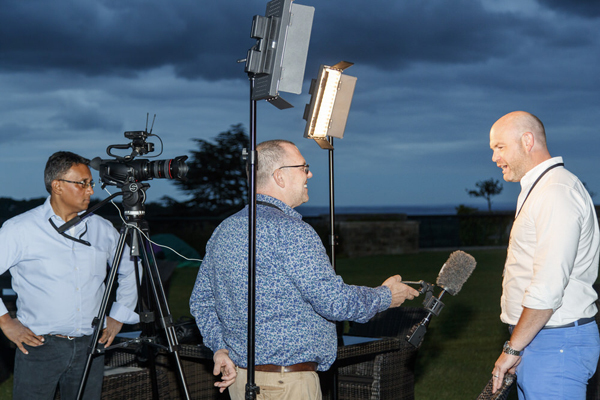 Personal endorsements give us confidence – which is why referral marketing film production is on a meteoric rise. We have recently completed a referral marketing film for Cimar, a very clever and efficient cloud-based medical image exchange system. The client subject for this film is Chartwell Private Hospital of Leigh-on-Sea, Essex – a specialist facility which provides various medical scanning services to hospitals, GPs and physicians. Chartwell is prefect subject material for Cimar to use on a referral marketing film as their system has made a very positive change to their working practice and efficiency. They are exactly the type of new business Cimar are trying to attract. The first tip in creating a referral marketing film is not to concentrate on the nuts and bolts of the product, but rather the customer experience and how it benefits their lives. Most of all, it must tell a story. It’s an often-overused phrase but with referral marketing it really is about selling the sizzle, not the sausage! The technical stuff is obviously important but at this stage your goal is to connect with, inspire and motivate your prospect to find out more. In fact, you need to leave them wanting more. The second tip is to pick the right people – and to keep things as natural and conversational as possible. A good referral marketing film is just a conversation with a client during which you capture their story and true feelings about your product or service. If they come across as trying to perform for the camera, or trying to deliver someone else’s words or experiences – it will not be believable. If this happens your referral marketing film will have the opposite effect. Your audience will not expect to see a polished performance. The occasional stutter, um or err is natural. We do this in everyday conversation – which is what you are trying to capture. It is important that your interviewee/s use their own language and terminology. This will almost certainly be the same language and terminology used by your potential customers. You might well call your widget or feature ‘XYZ’, but if your customers refer to it as ‘ABC’ then that is what other customers will understand. In addition you should allow plenty of time to record your interviews. Make sure your interviewees do not feel rushed nor pressured. Allow enough time to take two or three versions of the same statement or answer. Even if you think you’ve got the perfect take, first time. Try phrasing the same question differently. This will often result in the interviewee giving a slightly different emphasis in their answer. Make sure you film plenty of what are referred to as b-roll or cutaway shots. These could be general shots of your customer’s premises, the products/services they provide, and shots of them going about their normal activities. These images are used to cover edits within their replies and to help you tell the story. Producing a referral marketing film should result in you having an extremely powerful marketing tool for your business. It’s like having your favourite happy customer with you at every sales meeting extolling your virtues. Hosting this video on your website will mean they’ll be doing it 24/7, 354-days a year. A great referral marketing film will take the selling out of sales, completely. 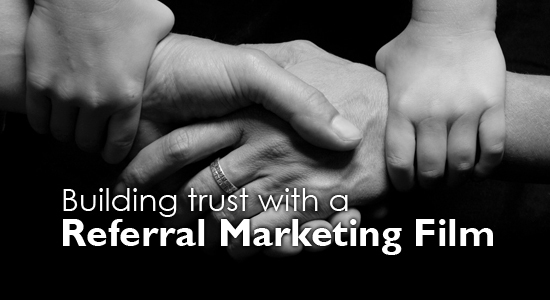 Ready to start planning your referral marketing film? 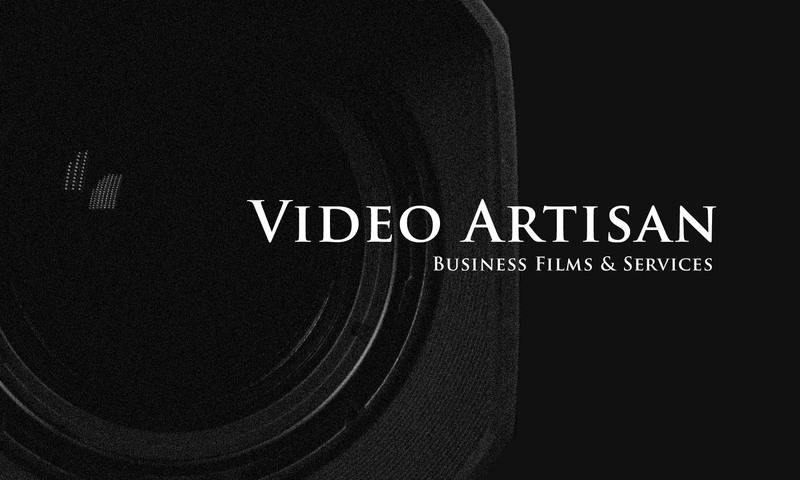 Please give Video Artisan a call today on 020 3602 3356 or email kevin@video-artisan.com.